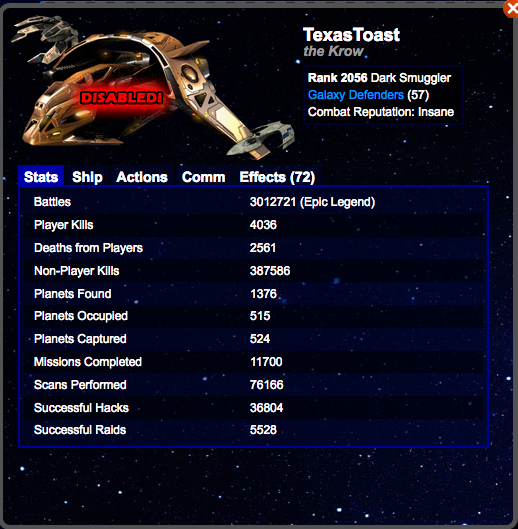 Still not a "personal" goal and this is a "ship" log not a "legion" log. Still not a "moderator". Quit correcting people on what they should post in their own threads. 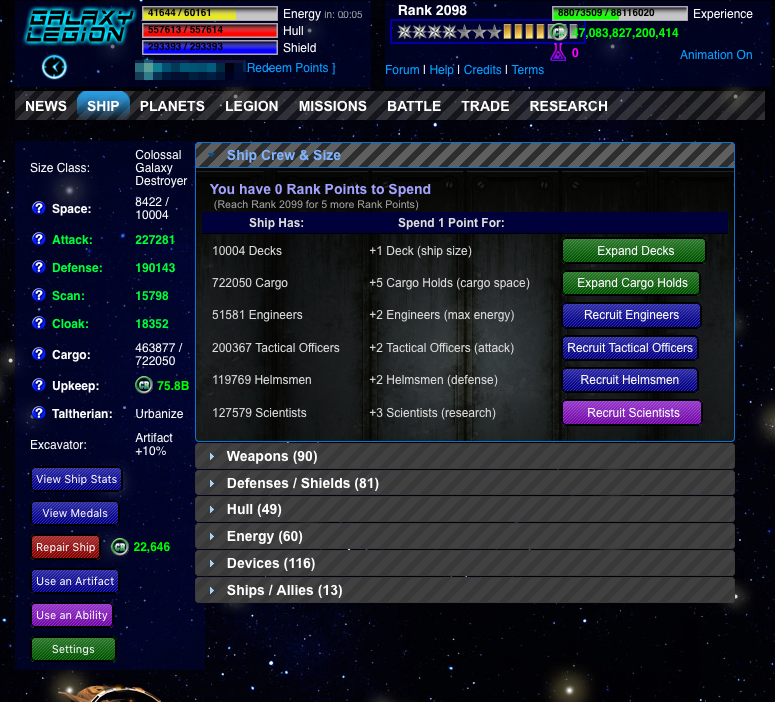 I've given enough resources to the base to qualify this as the completion of a personal goal. That it was a shared goal with others in my legion doesn't change that at all. I got a lot more out of Bane this year than last year. I've got 11 psyshade arsenals left over (I used 3 or 4 during the month, I think) and managed to finish using all my inducers last night before turning in, am now up to 50 psybeacons on hand, and made a good start to scrappables if I'm still around for Chuhn next year. I had a couple of really good scan sessions, one where I found a half dozen planets (mostly inactive) that were Massive to Mega Collosal and in the 15x-23x arti range. 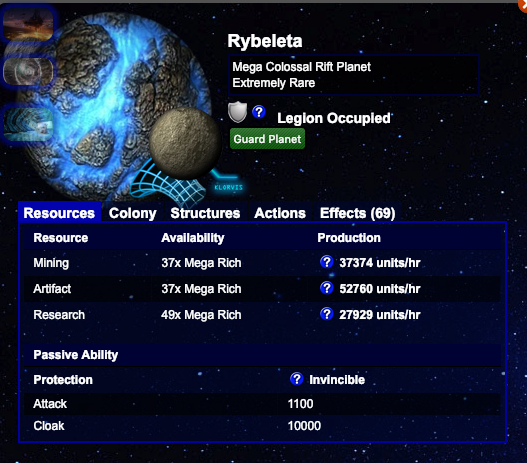 I also had another session that returned another planet in that category and a storage planet. So...I did a lot of invading over the last couple weeks. I also managed to clear PA off of Exotica, though I failed my 90% success chance invasion, but at least a legionmate got it. I then got Exotica handed to me by somebody else that wouldn't have been able to keep it overnight and we traded it back and forth a few times, so combined with finishing up the Bane medals I have now completed every PvP medal. (Currently sitting at 3010 of 3840 medal points.) I've got a demon and irradiated to colonize during Harvest, but neither are really all that worthwhile (in fact, one I already abandoned) so it's more of a question of do I bother spending the 10GP to get the medal and abandon the planets. I'm kinda leaning against it, but maybe I'll scan something worthwhile this month. I still have over 2k purgers on hand. 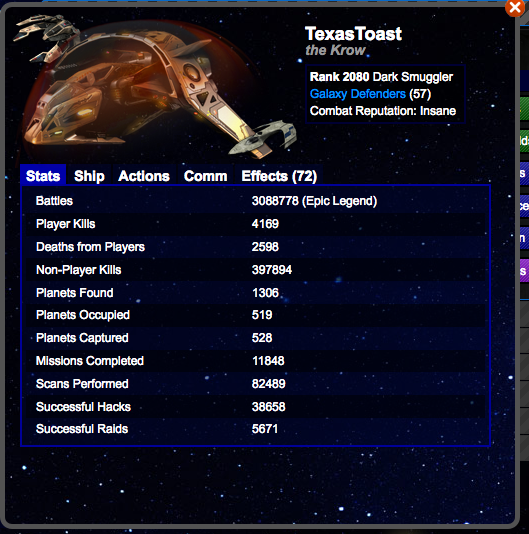 Holding steady at another 11k TACOs and 7k base defense. Fewer NPCs this month than last at 12,934 (10,652 during Bane itself). I'm happy with it given the available rewards and how busy I have been (especially for the last week) with work. 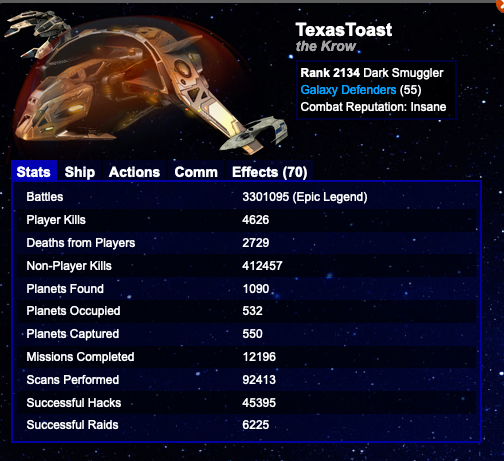 Hoping to hit that 20k+ NPCs this month since it was annoying to run out of terrafounders a month and a half ago, and the more experience I spend NPCing over the next 145 ranks the better. I only added 7 planets this month, but that was with 14 invasions, so more NPCing will make it easier to add planets without having to abandon. I still have a list of nice planets to invade, though I won't get that nice 50% reduction in costs now that Bane is over. 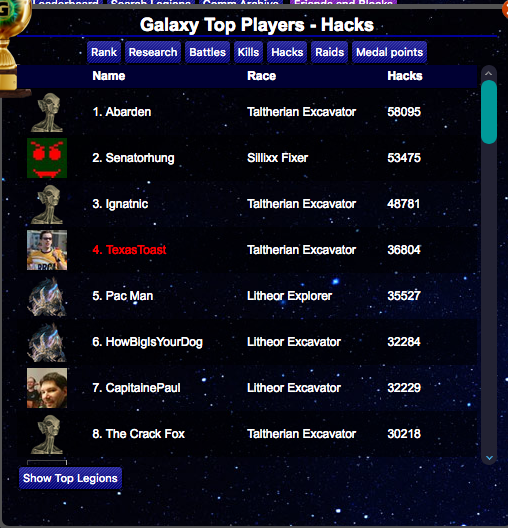 Only 1829 hacks this month, so a little less than I've been doing, again owing to how busy I've been. No surprise that there was no movement on the leaderboard. 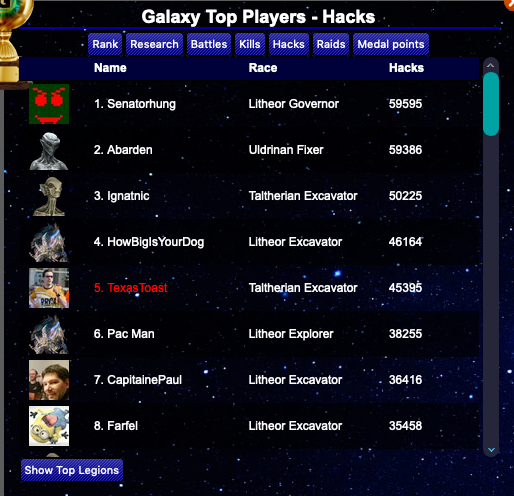 All of the folks ahead of me only hacked about 200 times each, so little by little will claw my way closer. It's still going to take a long time to catch any of them, if I ever do. HowBigIsYourDog made some progress towards catching up to me, so I'll have to watch out to not lose my slot, but again probably not for a while. Not a ton of movement in production, slowly but steadily increasing. I've got 4 or 5 planets yet to flux and unbrick or at least improve a bit, so it's all adding up. I had gotten a polychoron vault on every planet except my rift...but as mentioned above, I have a bunch of new planets I haven't had a chance to optimize yet since invading. Best resource and actual production ratios on a planet hasn't really changed much, despite abandoning some stinkers and replacing with much nicer planets. But, that's single or low double digits which over the grand scheme is a small percentage anyway of my total planets. a nice hack tally for the month .. but i think your math is a bit off on 'the folks ahead'. just look at your screenshots from last month and compare with this month. 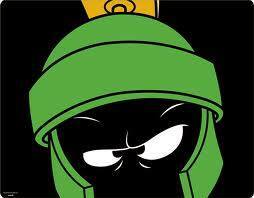 at 515 planets occupied .. you are just under my highest planet tally of 516 back in feb.2018 (currently at 508). i have been trying to maintain the 500 planet level, but a shortage of extractors has me holding onto a few planets for a bit longer. on arti production planets, my minimum is now at 352 arti per hour; on mining planets, my minimum is now at 1058 mining per hour. You guys need to get laid. Sorry, busy work week and only a few hours sleep - I just eyeballed it and saw the 200 for Ignatic and then eyeballed you and Abardem and for whatever reason came up w/about 200 there too...oh well, not a big deal. Thanks for noticing, will try to pay more attention to it next month. Hopefully I'll have a higher total, which is the only one that really matters anyway. Couple days late; spent the weekend at the hospital with my 3 year old so this didn't seem too important to do. Harvest went fine; once again, would have preferred to do more NPCing than I did, but I managed to get a fair amount in. Gained 24 ranks. Got a bunch of Terrafounders. Got 50 omni-harvesters left over, not sure how many I used during the seasonal. Wouldn't have minded to scan a bit more than I did, but that's fine. Still just been adding TACOs, added almost 15k this month. 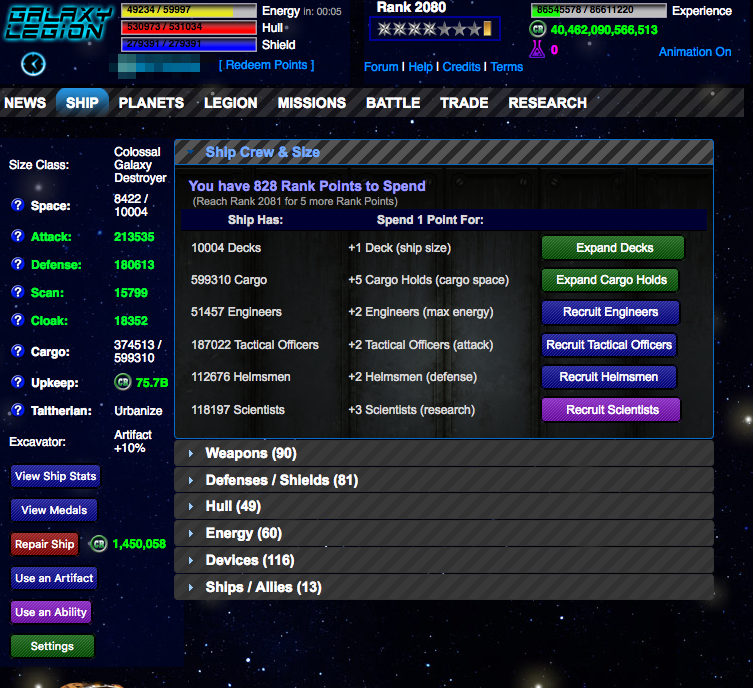 Got 7k helmsman from androids, though I've got 4 digits worth of those to still turn in. Looks like 10,308 NPCs, so on par w/what I did the last seasonal, which kind of surprises me. I was expecting a few more than that. The last week and a half were really busy with work, not surprisingly. Planet acquisition was a bit lackluster with only 4 new invasions this month. Got 2 slots open so will have to find something to put there soon. 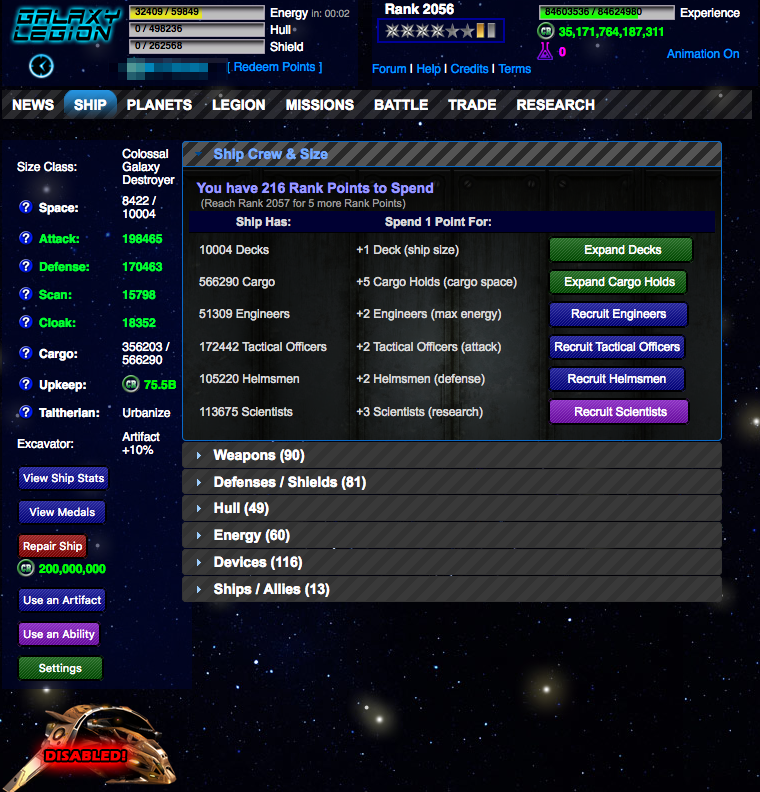 Added 1854 hacks and 143 raids. Holding steady on the leaderboard. 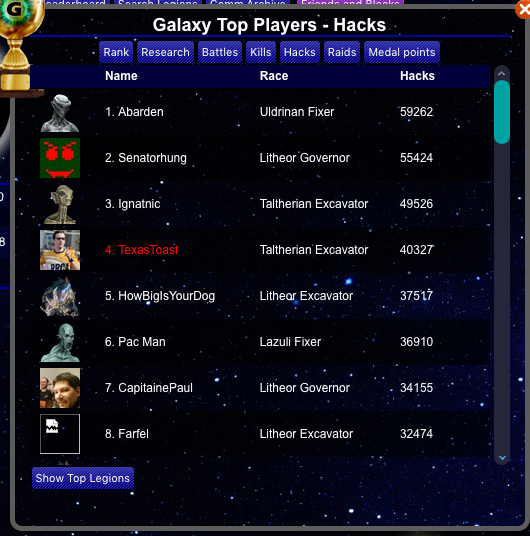 Moved another 1k hacks above Pac Man, and gained 1435 towards Ignatic and 640 towards Senator. I still won't be catching either of them any time soon. No temporary buffs (or at least, minimal temporary buffs) active right now, so those numbers seem to have dipped a bit, but I'm actually in better shape than that. Regularly sitting at over 300k/aph most days. But, weekend, and wasn't online much at all. 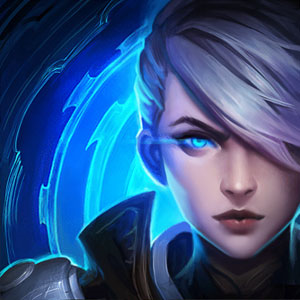 Will be turning the buffs on shortly. Not a whole lot to say here...only 4 invasions, and while I did have a few projects get completed it hasn't moved the needle a ton. Last edited by Texas Toast on Mon Dec 03, 2018 4:26 pm, edited 1 time in total. I didn't spend a whole lot of time in December in game, comparatively speaking. Only gained 18 ranks. Concentrated on getting as many resupply depots as I could, and didn't have many sustained NPC sessions outside of the one day doing Encounter at Nabai. I added 13k tacos, passing 200k. At this point, going to keep adding htem until I rank out of troop carriers, mostly because I don't have a great reason not to at this point. Just over 5k NPCs, so yeah...not a lot of effort there last month. Only 4 new invasions, though I do have 2 open planet slots to fill now. Only 1669 hacks. Holding steady in position #4. I am 9205 behind Ignatic, and 2810 ahead of HowBigIsYourDog. No real buffs setup, those numbers are usually a lot higher, but been lazy this past week w/the holidays and other things on my mind. I have passed 1 million storage for research as of yesterday, not that that means anything useful at all, was just kind of interesting. So now all 3 storage capacities are above 7 figures. 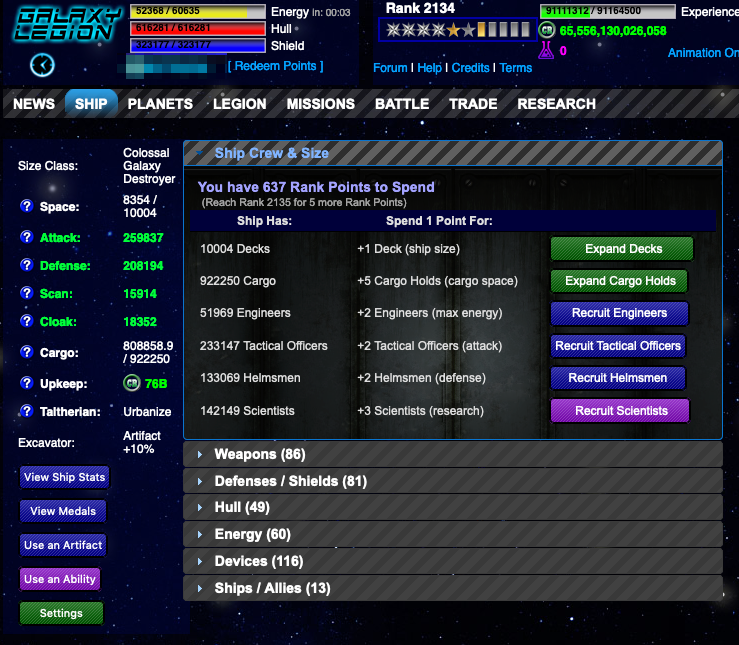 Got 4 planets to add to my database, again, way behind on that. Quite a few planets need attention at this point. Well...been a bit since I've had an update. Busy first quarter and haven't bothered. Lots of travel, so will likely just stick mostly with the numbers. Less than 40 ranks, a bunch of tacos, a little bit of extra scan. Not much else to say. About 5k hacks, 400 raids, 300 kills, 100 disables. 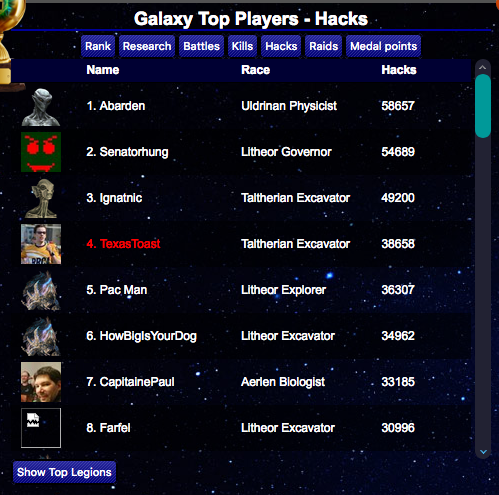 I was doing a great job holding off HowBigIsYourDog on the hacks board, but two conferences about a month apart closed the gap and then allowed me to be overtaken. Not a huge swing in production (mostly from going back to excavator. Only 18 invasions in the last few months. 2 planets to add to the database. Not much to add there. Been putting perpetual hyperturbines on more planets, because why not? Pretty much anything that produces at least 800 arti/hour has one now. Last edited by Texas Toast on Thu Apr 04, 2019 2:10 pm, edited 1 time in total. Been putting perpetual hyperturbines on more planets, because why not? Pretty much anything that produces at least 800 arti/hour has one now. i have turbines down to 431 aph. will go until every arti production planet has one. after that i can stop extracting polychoron vaults off of invaded planets lol. 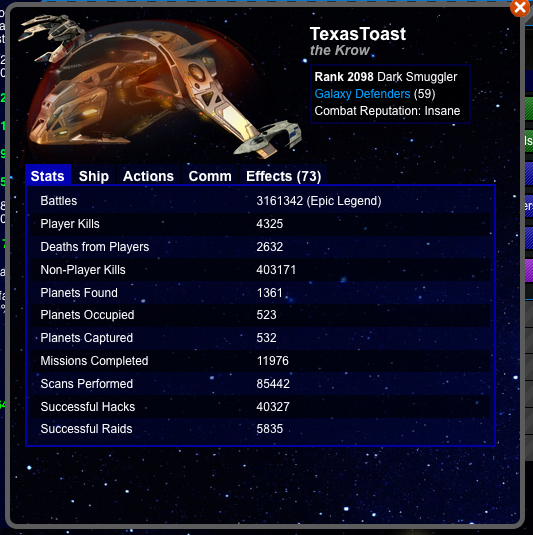 also .. i think you meant to post the hack leaderboard image instead of your ship stats twice. very nice ! i don't bother with the klorvis buff generally so i get betw 35k and 45k on my rift .. 8k xp is still 8k xp. with one more full 5x5x5 metallic storage on deck once i have pumped it up to 3100 with IFGs.